Overwhelmed, tired and stressed? Want to let go of the constant stress of living a busy life? Ready to achieve a deep state of physical and mental relaxation, that will energise, refresh and revitalise you? If you answered YES! then sign up for the SILVA STRESS MANAGEMENT SEMINAR that will give you the tools to manage your stress in no time. Through a series of guided meditations, visualizations and powerful imagery you will learn to release stress and tension a using the power of your mind. The SILVA STRESS MANAGEMENT SEMINAR will create a positive and profound difference to how you live your life. Click here to sign up immediately. FACT - Produce immediate and lasting benefits for your mental, emotional and physical wellbeing. HOW? You can learn the internationally acclaimed Silva techniques practiced by over six million graduates worldwide and taught in over 110 countries. 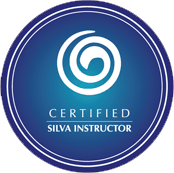 The Silva Method is the original stress reduction and dynamic meditation program of alpha and theta training. This unique program is backed by over 50 years of proven research. Start your journey. TODAY. Through a series of guided meditations, visualizations and powerful imagery you will learn to release stress and tension using the power of your mind. The techniques you will be taught are simple and effortless - yet can immediately create a state of relaxation, rest, calm and heightened awareness. Practice anywhere, any time. The results are tangible and will leave you feeling alive, energised and refreshed.When practiced on a daily basis you will create powerful shifts in your thinking, attitudes, perception and behaviour. Learning to Relax is a priority! When you’re relaxed, you have more energy,confidence, ease, and focus not just for yourself, but for your loved ones, your job, and your life!